It’s down to the final two rocks of the end. You are Team A, and do not have last rock. You have a 1 point lead and the house is open except for your opponent’s stone in the eight foot at the tee-line and a center guard. What should you do and, more importantly, what analysis can you do to determine the correct decision? 1. The guard is halfway from the 12 foot to the tee line. It is your rock. 2. Ice conditions are perfect or near perfect. 3. If we attempt a hit we will not miss the rock completely. 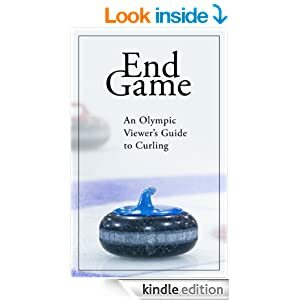 These Expected Results are based on available statistics for mens 4-rock games played in the Brier, European and World Championships, Grand Slam and other WCT events, Provincial Championships, Olympics and Olympic Trials. We estimate that if we attempt to hit and stay, the chance we roll out or the chance our opponent hits and rolls out successfully to be 95%. We estimate that 70% we miss the hit and roll enough that our opponent is able to blank. Of the 30% we make the hit and roll, we steal 5% and Team B draws for 1 25%. We estimate half the time we can hold our opponent to 1, one in 4 attempts we steal one and the other quarter of the time Team B scores a deuce. Based on our estimates, we have determined that our best choice is to disregard the opponent stone and draw around the center guard. Let’s compare the Option 2 and 3 using different values for the variables. With a hit and roll, we need to allow a blank no more than 50% of the time to have at least a 68% chance to win. With a draw, if we expect to avoid a deuce 75% of the time, we range from 67% to 76%, depending on our estimate to steal a point. The draw is the correct call, based on this assessment of the situation and our skills. If, however, we expect to give up a deuce half the time or more, the hit appears to be the correct call. Now, let’s consider if the hit and roll is a very difficult option, with the rock on the edge of the back rings, far from the guard. If we expect the hit and roll to succeed 5% of the time, the option appears clear to draw behind the guard as we are only 62% chance to Win, very close to Option 1. We still, however, need to ensure the draw gives our opponent a deuce less than half the time in order to attempt this shot. What this tells us is the decision is based less on where our opponent’s rock is in the rings and more on our confidence in making the draw around the guard. What if the guard is our opponent’s stone instead of our own? What if it is 2 or 3 feet from the rings? Now, the added chance of a run back for two may sway our decision as well. Assume every time we make a perfect draw (one that would steal in our original analysis, 25%) our opponent tries a run back. Let’s estimate that of that 25%, 10% we steal, 10% Team B scores 1 and 5% Team B scores 2. Identical to our original Hit and Roll analysis, making either decision the correct call.